Finally! 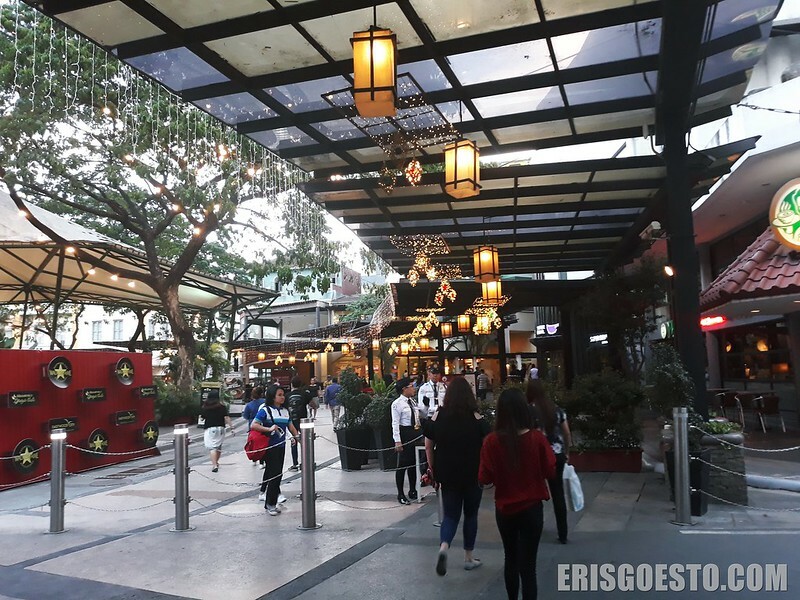 I’ve been wanting to blog about my recent trip to Manila since I came back earlier this month, but there was just so much work + backdated Japan stories that I had to put off posting this up. 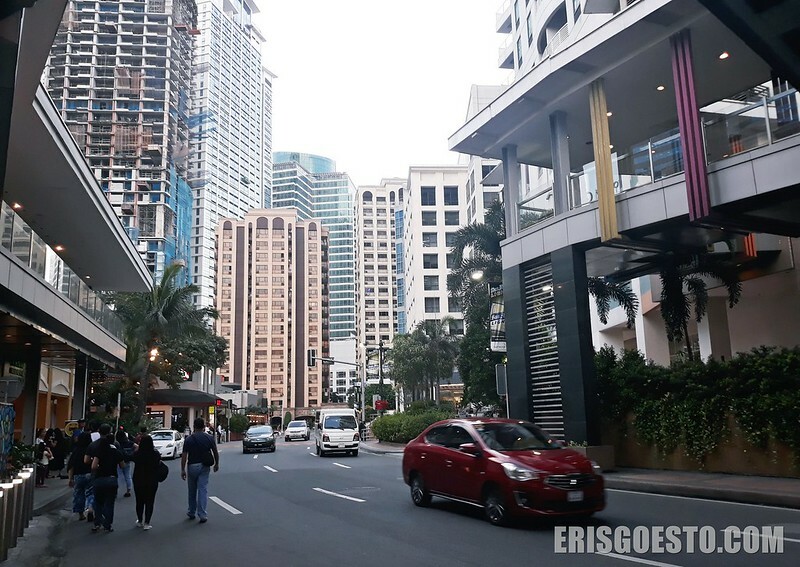 If you’ve been following this blog, you’ll know that this is my third time in Manila – and we all know how the saying goes: “Third time’s the charm.” It’s funny because there are parts of Manila that I love, like the historical attractions and it’s beautiful, well-kept museums and art galleries, but there are also parts that I really abhor, like it’s horrendous traffic (makes KL look like a walk in the park), cleanliness of certain parts of the city, the smog and the fact that you can’t go anywhere on public transport without getting a layer of dust and grime on yourself, no matter how fresh-out-of-the-shower you are before leaving. My MAS flight from KL to Ninoy Aquino International Airport was spent watching Wonder Woman over preheated scrambled eggs. Arriving at Terminal 1, I attempted to get a SIMCard, but was quickly turned away by the fact that the salesgirls wanted to sell them to me at a higher price than what was written on their booth. Travellers should be wary of people trying to rip you off the moment you step out of the terminal. Last time around, an ‘airport taxi’ tried to ferry me to a mall nearby for a whopping 2000pesos (ended up taking a metered taxi at 180 pesos). N was waiting for me at the arrivals outside and we took a cab to Eastwood in Quezon City. 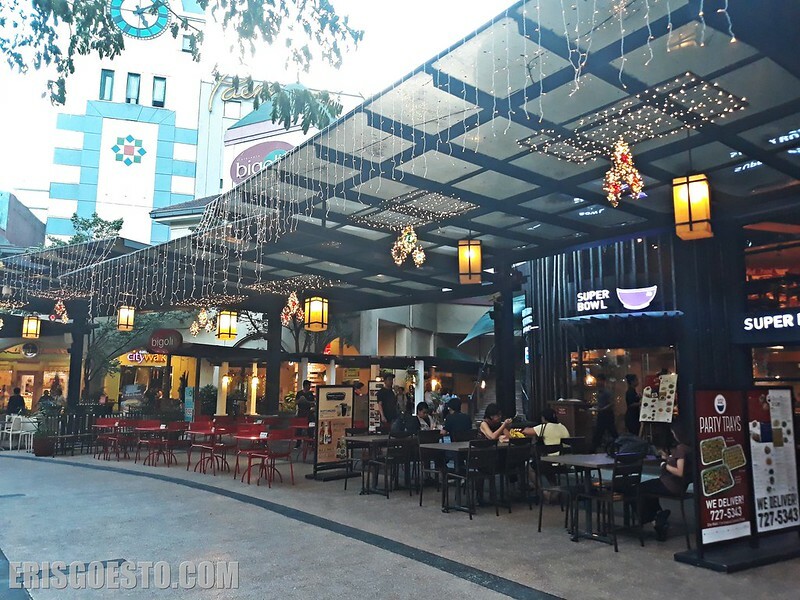 Developed in 1997, it was one of the earliest commercial business districts in the area. The CBDs are usually nicely planned and laid out, with lesser traffic. Since jeepneys are not allowed in and can only drop passengers off at the fringes, there is less pollution from diesel engines as well. Strolling through the strip mall area. Another interesting thing about the Phils: security guards check your bags before you’re allowed to enter any buildings/premises, which is different from malls in Malaysia where you can just waltz in lol (convenient but dangerous in a way I guess?). 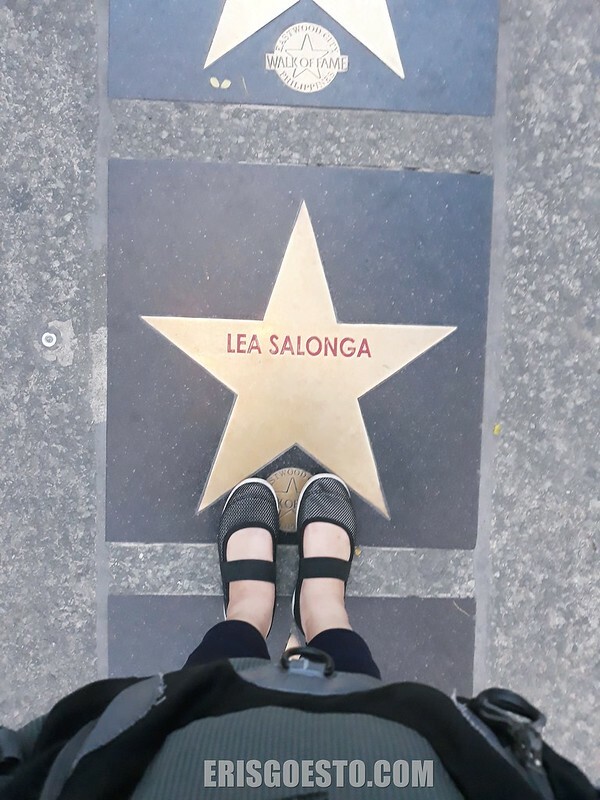 There was something like the Hollywood Walk of Fame (read about my visit there in this post) but instead of American celebrities they had Filipino ones. The one I knew best was Lea Salonga (loved her as Princess Jasmine’s singing voice!) so here’s a picture of my feet. 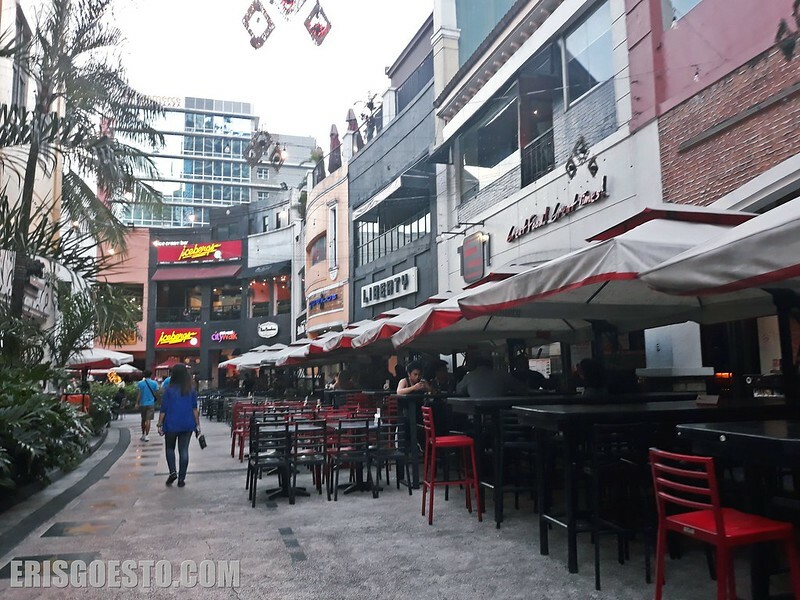 Lots of chic bars, pubs and restaurants! 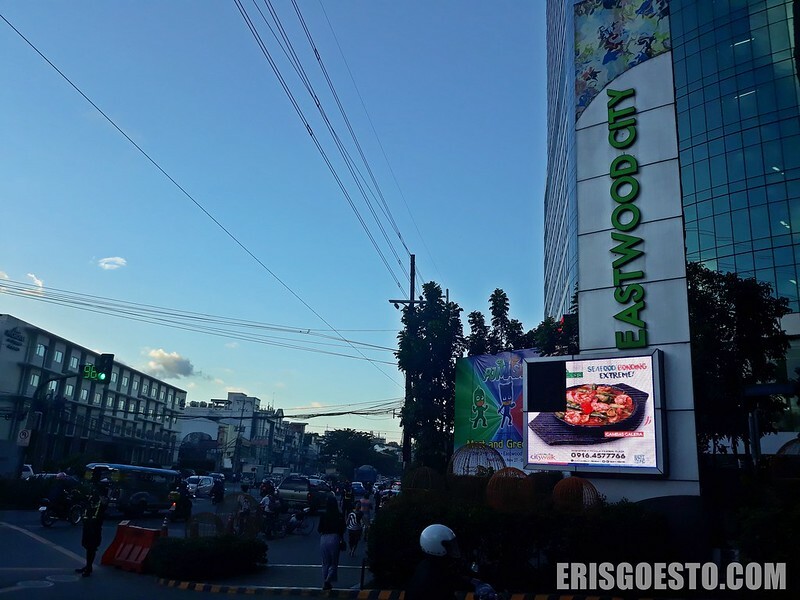 Unfortunately we were rushing to buy takeaway Jollibee for dinner at N’s house; else I’d love to pop into one of these establishments for a snack/drink or two. The sun sets earlier in Manila than it does in KL: by 6PM, the sky was completely dark. 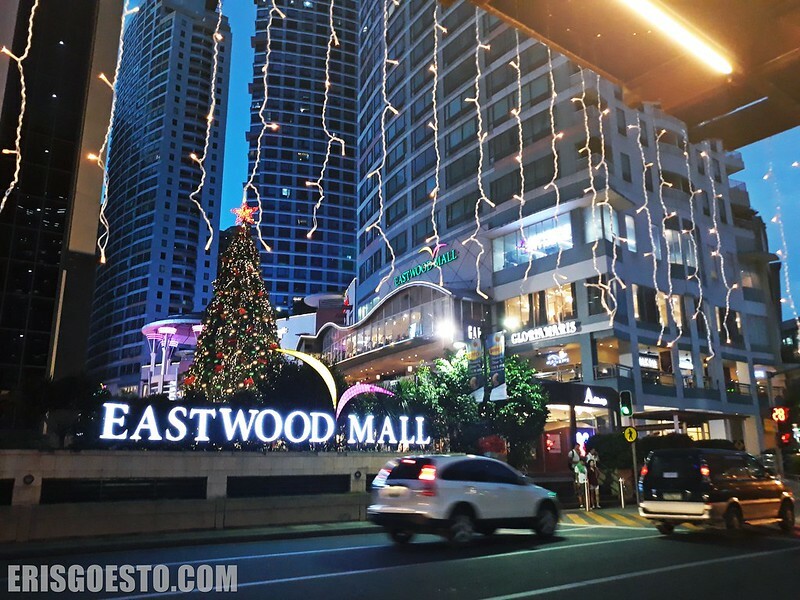 Across the road from the taxi stand where we were waiting for a ride was Eastwood Mall. As you can see Christmas decorations were already up with a towering tree in the courtyard. Again, wanted to check it out but didn’t have time. Jollibee takes priority. N laughed at how excited I was when we finally got to the Jollibee outside his village. We bought two buckets and I insisted on extra gravy. 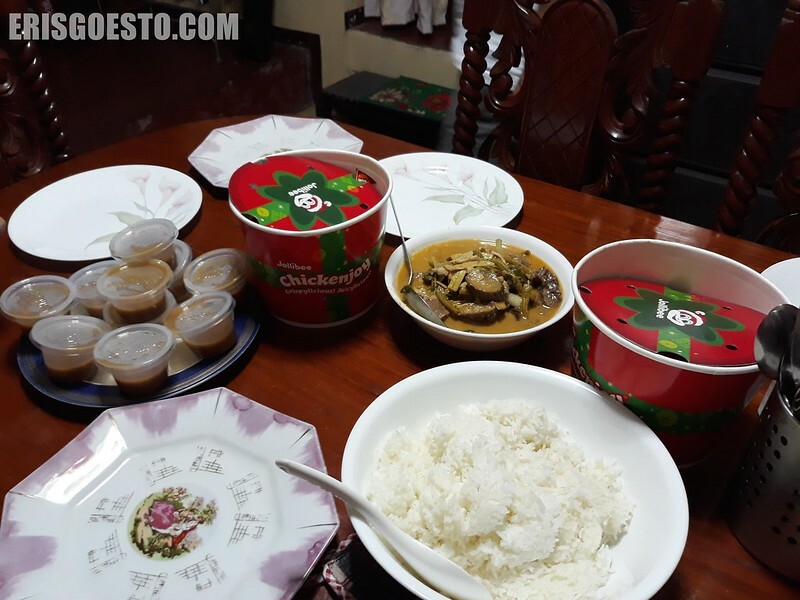 See, the thing is, the chicken is good, but what really elevates the whole Jollibee experience is its gravy. I can drink that stuff like soup. And eat lots of rice with it. 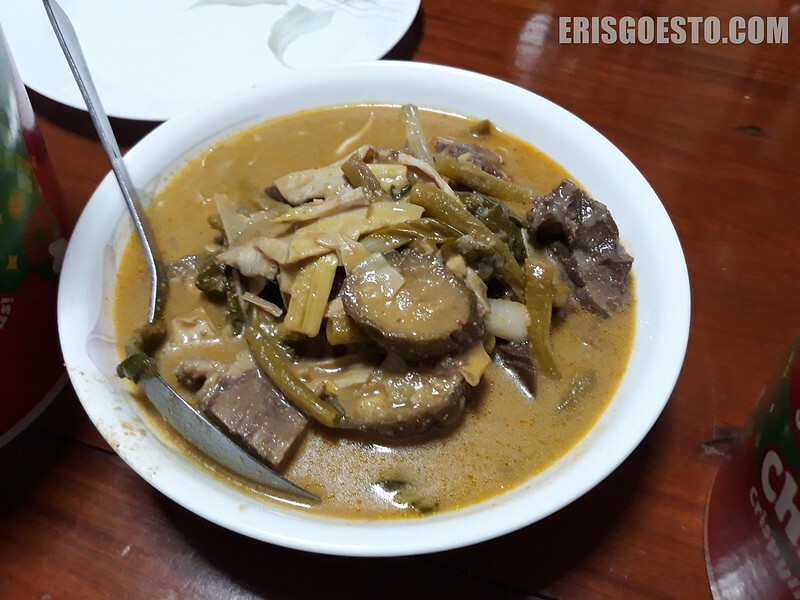 His mom also made a local dish which features beef tripe and peanut butter (sounds like a mad combination, I know – but it works) stew called kare-kare. We didn’t finish the chicken so we had it for breakfast the next day. 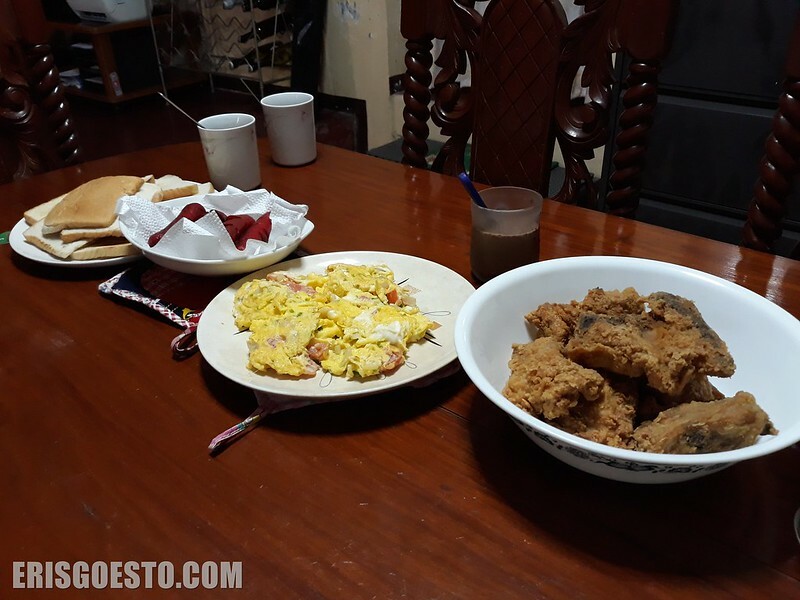 Fried chicken for breakfast, this must be the life. Sorry this isn’t a travel guide/post per se, just wanted to pen down the experience to look back on. More to come! since the sun set early in the day, then i guess the sun rises in the early morning too? probably by 6am the sky already brighten up? Yep, it’s bright by 6am! Haha, I’m glad you enjoyed reading it! 🙂 Will update more soon! In the meantime, Merry Christmas!